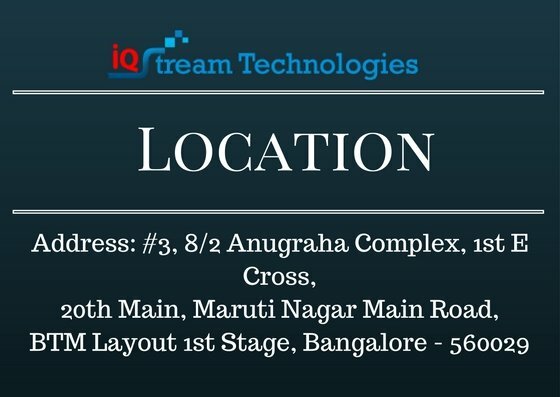 IQ Stream Technologies is one of the top quality SAP SD training institutes in Bangalore with highly experienced and skilled professional trainers delivering the courses. IQ Stream Technologies Bangalore also offers placement assistance for students who enrolled in SAP SD (SAP Sales and Distribution) Courses. SAP SD is the primary ERP module, core and most-used modules of SAP R/3 developed by SAP. SAP SD is very helpful in better management of sales and customer distribution data and processes in organizations. Other SAP modules are Financial (FI), Controlling (CO), Material Management (MM) and Production Planning (PP) modules. We offer advanced SAP SD training classes, advanced learning experiences and tools for better learning, understanding and experience. Our SAP SD course content and syllabus are very advanced and updated and curated by highly experienced trainers. SAP SD stands for Sales and Distribution. SAP is an ERP that has all the areas required to manage business operations like Finance, Sales, HR, Logistics etc. SAM MM handles the inbound Logistics and SAP SD handles outbound logistics. SAD SD provides several features to manage the customers, sales, pre-sales, orders, pricing and various types of contracts and so on. SAP SD is a fundamental SAP module that is implemented in most of the enterprises. SAP SD can be learned by experienced people in Marketing, Sales and Distribution to grow to the next level and get better pay package in their career. This is also a suitable module for MBA with marketing stream. SAP SD course at IQ Stream Technologies it taught by industry experts and high focus is given for understanding the concepts along with extensive practices.